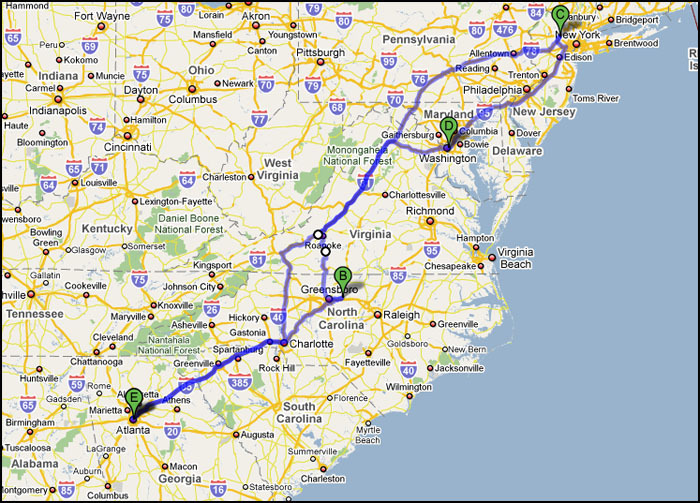 1811 miles later, I have returned home from my trip to North Carolina, New Jersey, New York City and Washington, DC! I had a great time visiting lots of friends and family and seeing the beautiful sites along the road. It was a fun trip, but it is definitely good to be home. Details and photos to come. For now, here is a map of my journey.